If you are like most of us, falling in love with a pet is easy. Pets give us unconditional love and loyalty, and provide constant companionship. Adopting a pet, however, is a big decision. Dogs and cats are living beings that require a considerable amount of time, money and commitment -- over 15 years' worth in many cases. Pet ownership can be rewarding, but only if you think through your decision before you adopt. Adopting a pet because the kids have been asking for a puppy or a kitten usually ends up being a big mistake. If you have children under six years old, for example, you might consider waiting a few years before you adopt a companion animal so that children are mature enough to properly handle and help care for your new pet. Dogs, cats and other companion animals cannot be ignored just because you or the children are too tired or too busy. They require food, water, exercise, care and companionship every day of every year. Thousands of animals end up in shelters because their owners did not realize how much time it takes to properly care for a pet. The adoption fee is just the beginning and does not include all of the expenses you will incur. Don't forget training, illness, toys, food, treats, bowls, bed, carrier, kennel fees, etc. 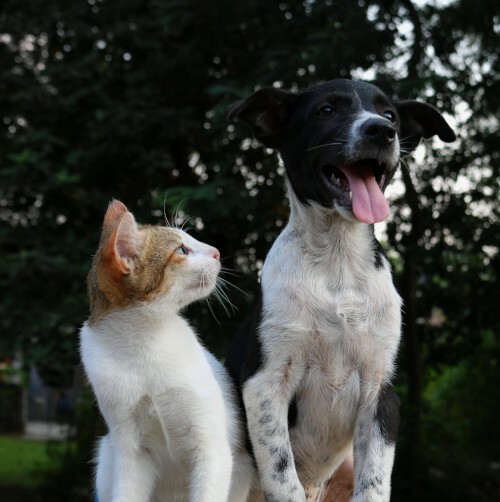 It is estimated that the average cost per year of owning a cat or dog is about $1,000. Can you have a pet where you currently live, and how many times do you think you might move in the next 15 years? Many rental communities either don't allow pets or have restrictions as to the type of pets they allow. It is not uncommon for landlords to require an additional deposit if you own a pet. If you might move within the next 15 years, are you willing to move your pet too, and restrict your choice of housing to places where pets are allowed and where they will have the space they require? Accidents in the house, soiled or torn furniture and unexpected medical emergencies? These are common aspects of pet ownership. How will this pet be cared for while you are away on vacation or business? You will need reliable friends, relatives or money to pay for a boarding kennel or pet sitter. Adopting a large or energetic dog to share your small apartment, for example, is probably not going to be successful. Some breeds of dogs require a lot of physical and mental exercise. If you are not willing to commit the time and energy required to properly care for these dogs it is likely they will display their frustration with any or all of the following behaviors: barking, digging, chewing or jumping. Look at your lifestyle and then do some research to determine the pet that will best fit in with you and your family. Sure, it's a long list of questions and things to consider, but a quick stroll through an animal shelter illustrates why answering these questions before you decide to adopt is so important. Remember, thousands of unwanted animals end up in shelters every year.